For years, there has been a certain set way of navigating through iOS but the latest iPhone X sets the bar for the next decade of Apple’s iPhones by bringing some radical changes. There is no touch ID or home button available now and hence interacting with iPhone is now completely a different thing. Various questions arise like how do you go back to the home screen, how do you switch between apps, and how do you take a screenshot? Though the procedure that needs to be followed now is different, but once we go through it and start using it, we get used to it. 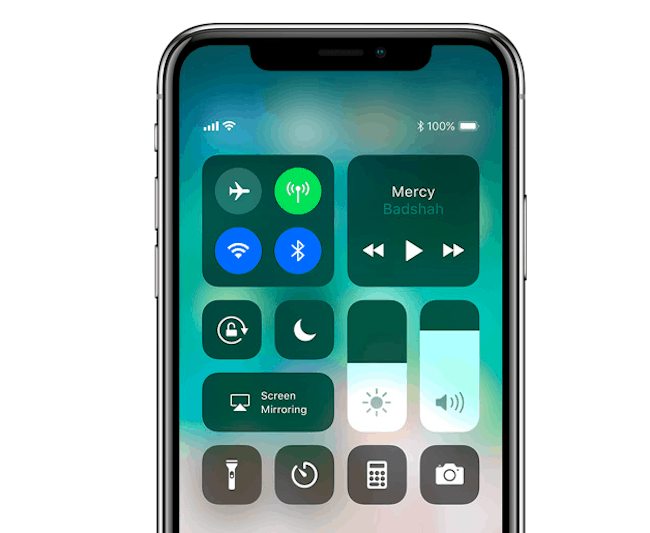 There are few iPhone X gestures that will help you to navigate your new phone. This article is based on all the iPhone X gestures that you should learn today to navigate your iPhone and to be more productive. 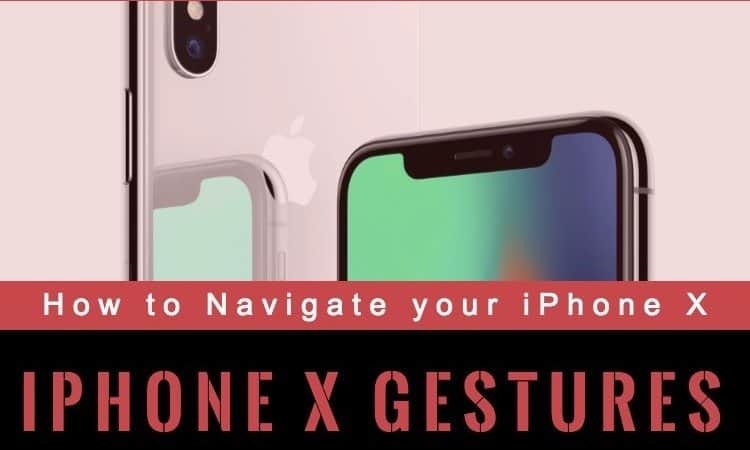 Read the post to know iPhone X gestures to navigate your phone. Also, if you looking for cases for your iPhone X, do not forget to check our post showcasing best iPhone X cases and covers. Neither the fingerprint system, nor the conventional pins and passwords are used in it now. 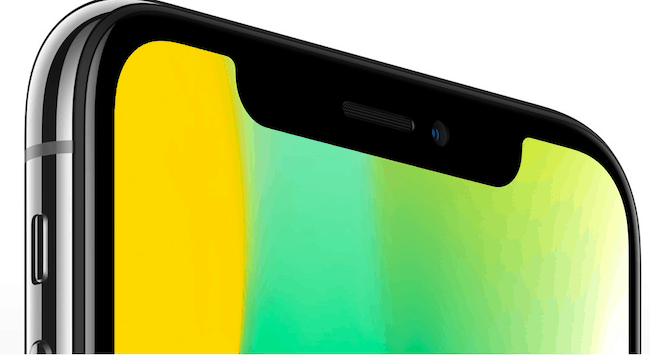 It uses the latest Face ID or Face recognition technique wherein Apple’s TrueDepth camera recognizes the face and unlocks the phone quickly. The front facing camera recognizes you and doesn’t allow any intriguer to check your phone. You’ll see a padlock at the top of the screen, and it will unlock when the camera recognizes you. You’ll still need to swipe up from the bottom to get to the home screen. This makes the phone safe for banking purposes and saving the personal information. This is easy as difficult it sounds. To take a screenshot on iPhone X, you just have to press the Power and Volume Up button at the same time. It will soon have the option of editing and sharing the screenshot immediately as well. There is a thin black bar at the bottom of every application available. Tapping on it won’t do anything, but you’ll need to swipe it up and you’re back to the home screen. Now if you wish to go again to the previous application, simply swipe from the bottom left to the bottom right in an upside down “U” shape. To quickly see all your recent apps, just swipe an app from the bottom black bar up and pause — you’ll see all your recent apps load to the left and you can scroll through them. Control Center lets you toggle your settings quickly and can be accessed by swiping down from the upper-right corner of the screen. Once it’s open, tap on any empty space for it to disappear. The Control Center is now one page and you can add a lot more quick toggles to it from the Settings menu. To turn on, press and hold the side button until the Apple Logo appears. To turn off, simultaneously press and hold the side button and either volume button until the slider appears, then slide to power off. To put your iPhone X to sleep, press the side button. Just tap and hold the power button and Apple’s voice assistant will pop up, ready to do your bidding. It is now just a button away and quickly comes to your service. You need not flick or pull your finger away, instead just put it on the screen. Put your finger on the bottom edge of the iPhone X screen and swipe up. Hold your finger on the screen and you should see that the multitasking screen will appear. 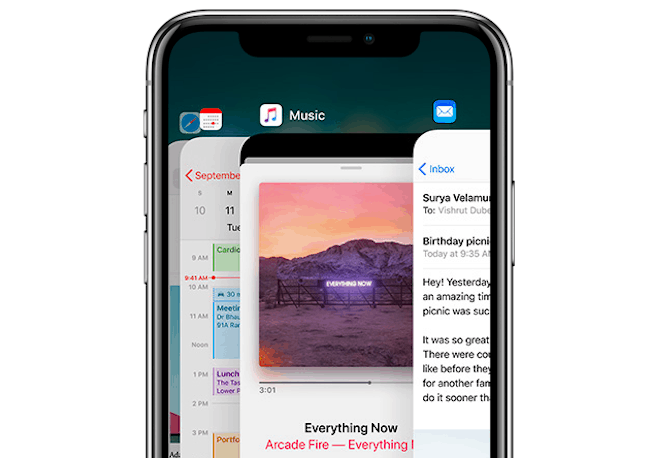 This way Apple makes it pretty easy to go to the multitasking screen on your iPhone X. You need to enable reachability in the settings and then you can use it just like you did on the iPhone 7 Plus. One has to simply go to Settings and tap the General option. Click on the Accessibility and tap on the toggle next to Reachability. After you turn this on, you simply place your finger above the virtual home button area and swipe down and have to try it a few times to put it in a perfect place. This can be done by pressing and holding either volume button and the side button. This will either bring up the SOS options or start a countdown depending on the options. There may be times when the iPhone X freezes or shuts down in a crude way. To overcome this, just force restart the phone. This way the phone will restart again. These are some of the iPhone X gestures that you need to use on a day-to-day basis to be more productive while using iPhone X. These iPhone gestures sets a new standard for iPhone and makes the work of the users easier than before. Since most of the common functions involve the work of one or two buttons. If you know any other iPhone X gestures that you feel should be in the list, do let us know in the comments section below.